We all know the drill. As the year comes to a close, we begin thinking about new plans for the coming year. We have great visions for new priorities and projects and finally addressing those nagging issues that we didn’t get to this year. Then reality sets in; from end-of-year reporting to holiday parties, it seems none of us has a moment to breathe as the calendar turns over into a new year. One area that usually falls victim to this cycle of good intentions is your energy strategy. Business and property owners along with facility and operations managers continually face challenges and opportunities to improve their approaches to energy management, but often lack the ability to look holistically at their options and prioritize their investments. End of year is a good time to take a look at your energy strategy, and in an effort to keep you on schedule, we have developed the following checklist to make it easier. • Lighting: Making the switch to LED efficient bulbs typically results in immediate, significant savings. It also creates an optimal visual environment for employees during work hours. There are also many different forms of lighting controls that you can implement to help curb costs,including occupancy sensors, which operate only when a room is occupied, and daylight harvesting, which utilizes natural sunlight in the building to automatically adjust lighting to optimum levels. • Automation/Controls: Heating, ventilation, air conditioning and other operating equipment have a major impact on energy use in commercial facilities. Energy Management Systems (EMS) are a seamless and cost-effective automation solution which allow equipment to run on different schedules and turn-off or power-down when they are not needed. • Operating Equipment: On a similar note, replacing old operating systems—like water heaters and furnaces with new energy-efficient models can greatly reduce energy use and, thus, costs. • Building Envelope: A big part of energy efficiency is making sure that the energy you’re expending to heat and cool a building is being contained within the building and not leaking out. Buildings that are properly insulated and contain efficient windows ensure that the energy circulating within the building is kept inside. Optimizing your energy use requires taking a closer look at your building’s mechanical systems in order to identify any inefficiencies and waste. It requires monitoring and collecting data in order to analyze energy use and understand what is needed to maximize return on your energy systems. There are a number of tools and practices that can be used to help businesses improve their energy usage. • Energy Storage: Many utilities have been increasing demand charges for customers which can account for up to 70% of your energy bill. Demand charges are based on your monthly peak load, and energy storage can be used to smooth out those peaks and reduce your demand charges. Costs for energy storage systems have rapidly declined in recent years and offer compelling paybacks for anyone with high demand charges. • Smart controls: Smart controls are advanced technology systems that use a computerized network of electronic devices to control and monitor all energy systems in a building including mechanical, electrical, lighting and others. They analyze data taken from the energy systems and compare that data to the control system settings. If the data received is outside the acceptable range recognized by the control system, it will issue changes and manage the equipment to set it back to an acceptable range. • Monitoring energy use: Monitoring tools are similar to smart controls but they analyze energy performance more broadly and help you make smart decisions about how best to make adjustments. For example, the EPA’s Energy Star program has a tool called Portfolio Manager that can measure and track elements such as energy and water consumption and greenhouse gas emissions. • Solar: Solar PV (photovoltaic systems) are exceptionally impactful forms of on-site energy that directly convert sunlight into serviceable electricity. If your system produces more electricity than needed, the extra electricity typically gets delivered back to the utility grid, allocating a credit for the electricity your system contributes to the grid (net-metering). Making the commitment to on-site solar generation enables businesses to reap the benefits of state and federal solar incentives, enabling cost savings while meeting long-term sustainability goals. Along with solar, additional renewable energy technologies such as wind turbines and Combined Heat and Power (CHP) systems are effective solutions to substantially manage energy costs. Hopefully this checklist will help you frame your options for your major energy initiatives for 2018. As you take stock of where you are and develop your priorities, there are many energy management companies that can help you assess your options, often for free. So don’t wait, start your check list, prioritize it, and reach out to a professional if you need help deciding the best options. 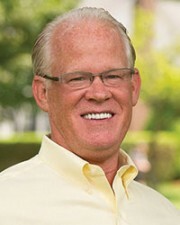 Craig Huntley is founder and chief development officer at Solect Energy of Hopkinton, Mass.